Are Neil Armstrong Footprints Still on the Moon? Footprints planted on Moon’s surface in 1969 by the Apollo astronauts are still there intact. On July 20, 1969, Neil Armstrong put his left foot on the rocky Moon. It was the first human footprint on the Moon. Because the Moon has no atmosphere or wind, the first footprints on the Moon will be there for a millions of years (unless they are destroyed by a meteorite or some other UFO). This iconic photo was taken by Buzz Aldrin. It was part of an experiment to test the properties of the lunar regolith. 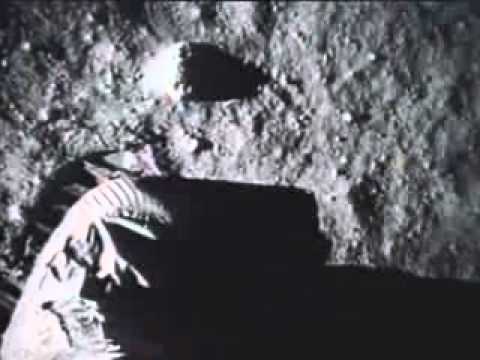 It is widely believed, especially by Moon landing hoax supporters, that it is impossible to leave a footprint on the Moon’s surface, because there is no moisture in Moon dust (due to vacuum) and that footprint would instantly collapse (like dry sand on a beach). Even though Mythbusters have proven that it is possible to leave such footprint, the skepticism still remains.